When I was in grade 2 I remember trying to draw a business man during an indoor recess. It was at that moment in time that I came to an honest conclusion about myself… I did not have an inherent talent for drawing. Fast forward 30 years later and I am still reminded of that day as I begin another new challenge and risk from our Documentor’s P.D. 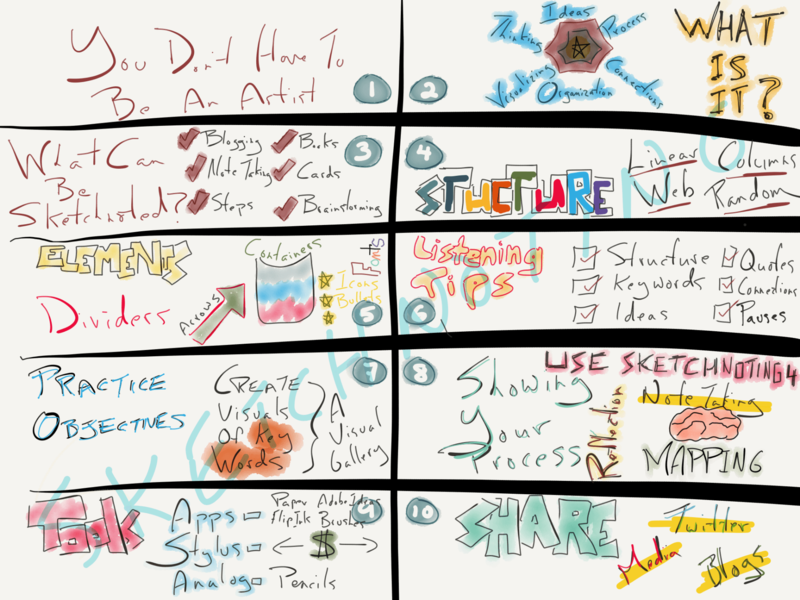 Time to take on doodling, and sketchnoting to document for learning. Ready, set, (whatever you do, don’t make the briefcase too big this time, Josh) draw. Looking back at my creation I notice a few things. I tried to tap into as many different fonts that I had used in my life, but sadly after block letters (a favourite of mine as growing up, my ‘go to’ for titles in fact), the well ran dry in a hurry. The grid format that I used, without giving it any thought at the time, is not shocking to me either, since I find that logic and organizing material into steps works for me. This is probably the reason I teach Science and Math, and struggled as a learner in the Arts, most specifically English classes. What I enjoyed most about this process, was the freedom to combine creativity inside a fixed task. I could see myself using this as a brainstorming technique for learners in my class, and even for use it myself to get ideas down in any way I see it, when my next ‘Aha moment’ occurs. The last point I want to make, is that I was very much aware of how much brain power I was using to create this sketchnote. I was noticeably fatigued, needed a break, and had that foggy feeling by the end of it, but at the same time I was calm and focused. It reminded me of the similar feel I get when playing around on a guitar. I felt relaxed, reset, and with either more practice or some mini breaks in between, refocused. 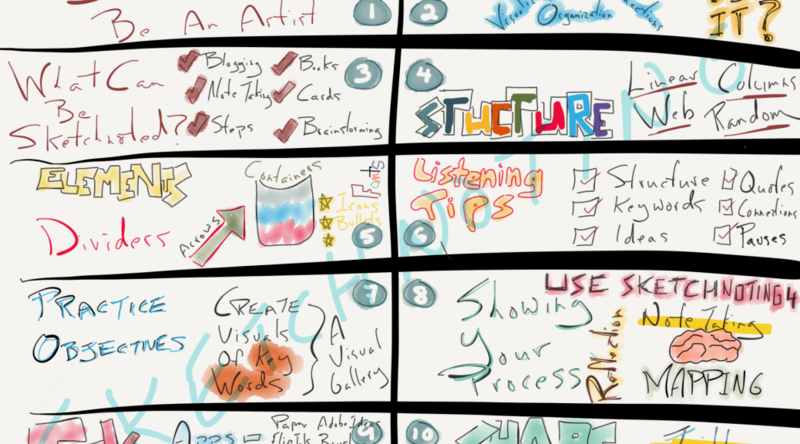 I highly recommend sketchnoting for all educators, learners, or anyone interested in creatively looking to document to give it a try. At the very least, it’s another tool in my increasing tool belt, or dossier to add to my over-sized briefcase. A buzzword often heard around schools these days is ‘maker’. 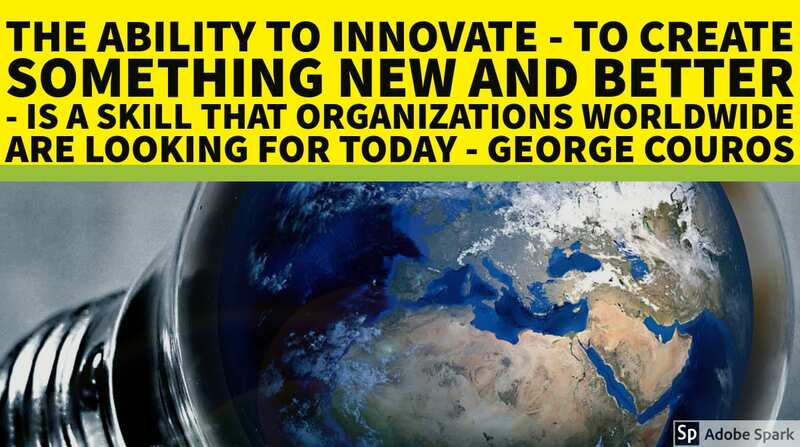 Our school is looking at the transformation of a traditional science lab to a new age ‘Maker Space’. But why? If the highest level of understanding, according to Bloom’s Taxonomy, is creating and designing original work, why as educators are we not striving to make this the norm in classrooms? I won’t go on, but needless to say, the research is pointing towards a culture of creation over consumption. 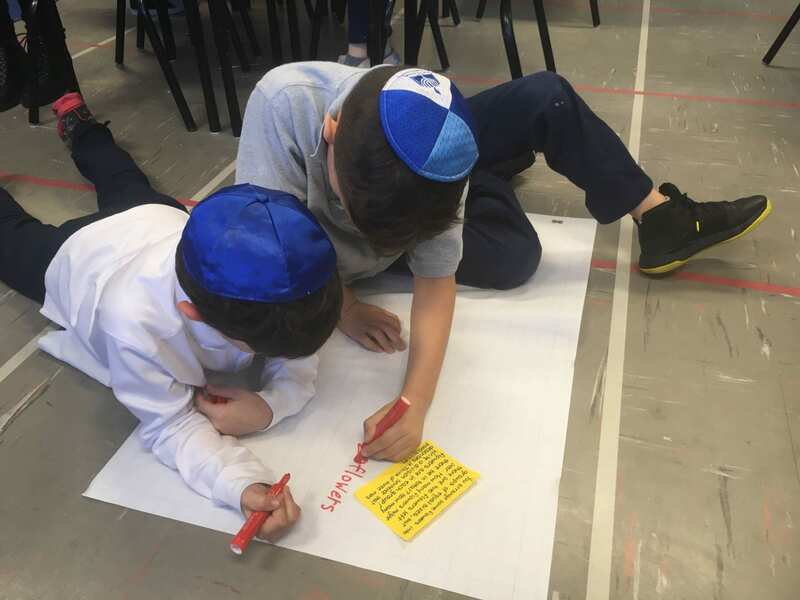 Today I got a first hand look at what this concept means to grade 3 students here at The Ottawa Jewish School. Students were tasked with showing their thinking of how they would solve math word problems. I was not only looking to see if they could do it, but was the concept of creating, designing, and solving their own problems helpful for their understanding. 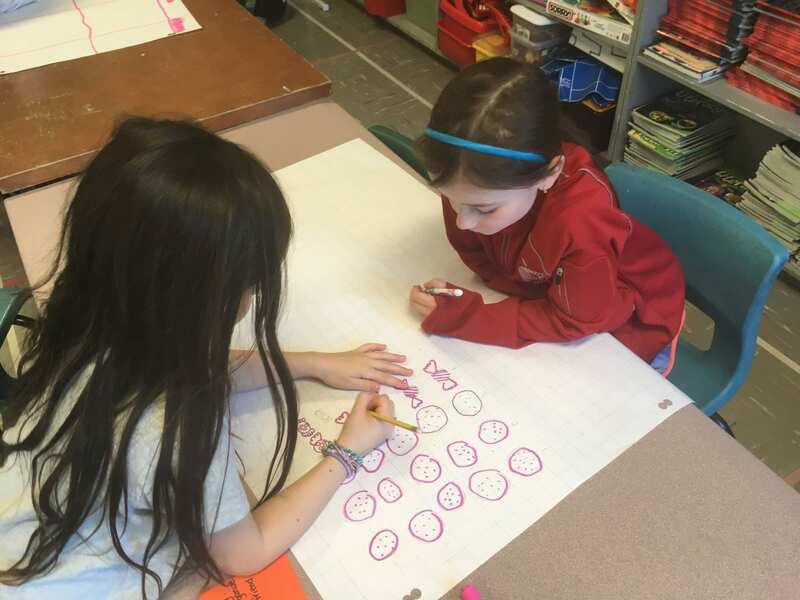 Of course, using pictures, numbers, and words to help create their solutions was an engaging activity for the entire class… I mean, who doesn’t like to doodle with markers. 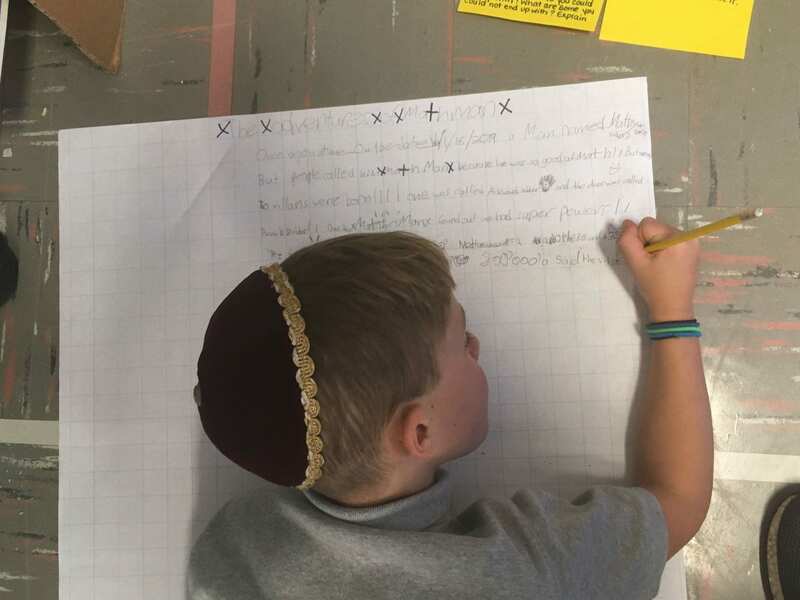 What I found out after observing, documenting, and interviewing students was a 100% buy in, and if not a deeper understanding of the material, a deeper engagement to the details and processes of multiplication, as well as their own metacognition. I was amazed to see and hear how creating; the doodling, drawing, writing, storytelling, and explanations of their solutions used so much of their attention. To see their brain firing on so many levels and creating new pathways was impressive.